The video below is of my nieces after working with them over a period of 3 Saturdays. To see a short clip of our first day, click here. My 10 year old niece's shot is looking much better. She is not just throwing the ball at the goal but actually focusing more on shooting it with the technique of keeping her elbow in and keeping her follow through up. My 6 year old niece is learning, at an early age, about patience and persistence. She is also trying to concentrate on using correct shooting technique. However, she is so small that she is unable to get the ball in the basket. She can hit the bottom of the rim at times. To help ease her frustrations, I continue to explain to her that if she was shooting on a lower goal, she would be making the shots. You will also notice in the video their ball handling. They have come a long way. My 10 year old niece is showing great improvement with 2 ball stationary pound and alternating dribbling. You will also see her dribbling dribbling up the court with 2 basketball balls. My 6 year old niece is not that far behind in her 2 ball dribbling. What to watch for: The Lady Saints enter the tournament on a 26-game winning streak, having not lost since falling to Memphis Home Education Association back on Nov. 16. Coach Lee Smith has a balanced, versatile team that can hurt you in many ways. Miss Basketball finalist Jasmine Cincore (5-7 junior) is the floor leader and the player that makes the Saints go, while Sidney Smith (5-6 junior) provides good 3-point shooting. Bailey Kramer (5-10 senior) and twins Brynn and Elise Holden (5-7 sophomores) are also very solid players. The Saints were tremendous on defense in their 29-18 win over Father Ryan last week but will need to shoot better. If they do, they should have not trouble advancing to the D2-AA championship game, where they will most likely face a one-loss Nashville Ensworth team. What to watch for: The draw could have been a little bit kinder for the Trojans, who will face the unenviable task of trying to slow down FRA’s Derrica Wyatt, a two-time D2-A Miss Basketball winner who has signed with Oklahoma. It won’t be easy, but SBEC enters the tourmanent with plenty of momentum and good feelings following their 48-47 overtime victory over Ezell-Harding on Saturday. Eighth-grader Ashtyn Baker hit the game-winner at the buzzer in that one and she’ll need to continue to play above her years against FRA. Kimberlee Keltner (5-8 junior) was the team’s leading scorer in the regular season and Kayleigh Patterson (5-6 senior) and Karlee Russom (5-7 senior) also make big contributions for coach Barry Gray’s team. Central’s Darriel Johnson looks for help against Overton’s Philecia Atkins, who had 16 points to help the Wolverines win the Region 8-AAA girls championship game at Houston High on Wednesday night. For the fifth consecutive year, Central and Overton tipped off to decide the Region 8-AAA girls champion at Houston on Wednesday night. Central dominated the first half, but the Wolverines clawed their way back to claim their second straight region title, 54-51, behind region tournament MVP Philecia Atkins and her 3-point shooting. Central controlled play early on, jumping out to a seven-point lead at the end of the first quarter. Baylor signee Nina Davis scored 17 of her game-high 24 points in the first half. The Warriors exploited Overton on the glass, getting most of their points on second-chance looks. Central went into half with a 32-21 lead. “They were just outworking us,” Smith said. Overton came out of half firing on all cylinders. Overton’s Kelsey Briggs and Rodrea Echols connected on back-to-back 3-pointers to begin the second half, which the Warriors dominated. Briggs led the Wolverines with 18 points, Atkins added 16 and Amber Homes scored eight. All three were named to the All-Region Tournament team, along with Tia Wooten, who scored 10 for the Warriors, and Davis. The Wolverines took their first lead of the game with 5:39 left in the fourth quarter on a Briggs 3-pointer, but Central came right back to tie the score on a Davis layup. Overton took the lead for good with four minutes remaining and sealed the game from the free-throw line. Despite stellar second half-shooting by the Wolverines, their defense decided the game, as they held Davis to just seven second-half points. Both teams advance to state sectionals on Saturday. Overton (30-6) will host Jackson North Side, while Central (24-5) will travel to Munford. Manassas pulled off a comeback Monday to have the opportunity to play Trezevant in the Region 8-AA finals. And the Tigers came back from the dead for a 64-60 win over the Bears Wednesday at Douglass to win the region championship. Tournament MVP Philkala Anthony, who led her team with 26 points, took a feed from Tiffany Jones for a layup that broke a 60-all tie with 17 seconds to play, then hit 2-of-4 free throws in the final seconds for to clinch a third straight regional title for the Tigers (21-7). Anthony had 12 of her 26 points in the final quarter, while UT-Martin signee Jones added 11 of her 24. Oesha O’Neal added 10 points, all after the break. Manassas will host Martin Westview in the sectionals Saturday while Trezevant travels to Region 7 champ Covington. Trezevant blew Manassas off the floor in the first 16 minutes, taking a 41-13 halftime lead behind 19 off junior Marcreshia Drummer’s 29 points. To that point, the only mistake the Bears made was leaving their home uniforms at school and having to borrow Douglass’ white jerseys. But foul trouble and fatigue began to catch up with the Bears (19-8), who have just six players on their roster. With 11 seconds left, four of them were on the bench with five fouls. In between the Bears had to pull up so hard on their defensive intensity that Manassas put together a 21-0 comeback. “I told our kids at halftime they had to keep believing, and we also had to get back to our game plan, which was attack the basket.” said Manassas coach Tommy Warren. Even with foul trouble lurking, the Bears still held a 49-35 lead after three quarters, led by Manassas transfer Drummer, a 6-foot combo guard who was a matchup nightmare. Junior Ashlee McGee had 11 first-half points, but fouled out with 4:21 to play, and her team up 49-46. With Trezevant’s lineup down to three, Manassas finally took a 60-59 lead on two Jones free throws with 30.6 seconds left. Drummer hit one more free throw for a 60-60 tie, but she would foul out in the final seconds. “Our kids played so hard, but the whistles got us,” said Trezevant coach Brandon Hill. Precious Harvey scored 22 points and Janekia Mason added 15 to lead Covington (34-2) to a 65-54 win over Westview in the Reigon 7-AA championship game at Dyersburg. Using it's signature defense that waited until the second half to make its mark, Munford won its first regional girls basketball championship and advanced to its first sectional with a 67-51 win over Jackson North Side on Wednesday in Brighton. 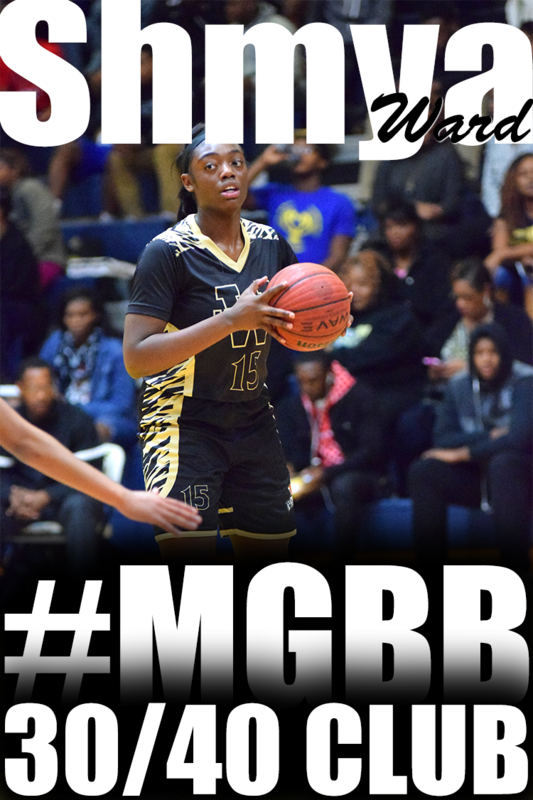 Robneisha Lee, who shared District 13-AAA MVP honors with teammate Shaliyah Wiggins this season, was named the Region 7-AAA tournament MVP. She provided the offensive spark for Munford with 20 points on Wednesday. Munford (27-5) trailed North Side (13-19) 33-32 at halftime when Jada Perkins scored at the buzzer. There were 11 lead changes in the first half. "Opponents average 43 points a game and we gave up 33 in the first half," said Munford coach Steve Poindexter. "In the first half our defense was non-existent." North Side, which also advances to sectionals -- its first since 2010, was aggressive in the first half and Breanna Cockrell scored 15 of her team-high 19 points in the first and second quarters. Destiny Robinson scored 10 of her 16 points in the first half for North Side which was playing the Cinderella card after a fourth-place district finish. After Lauren Zvolanek, who scored 18 points, gave Munford a 36-35 lead early in the third quarter, the Lady Cougars continued to pound the ball inside and stretched the lead to 18 at 65-47. The defense forced North Side into 19 turnovers for the game. "The strength of our team is defense," said Poindexter. "Everything we did positive is based on playing solid defense." North Side coach Shemon Reaves said that his players lost their "mental capacity" in the second half. "We lost our focus on the concept of what we came here to do. We got away from being aggressive and taking the ball to the hole in the first and second quarters. We were able to rebound but couldn't find players to block out." Region 7-AAA girls championship game at Brighton, 7 p.m. — Munford vs. Jackson North Side. Region 8-AAA girls championship game at Houston, 7 p.m. — Central vs. Overton. Region 7-AA girls championship game at Dyersburg, 7 p.m. — Covington vs. Westview. Region 8-AA girls championship game at Douglass, 7 p.m. — Manassas vs. Trezevant. Fresh off winning the Southern Athletic Association tournament on Sunday, the Rhodes College women’s basketball team received its first bid to the NCAA Division 3 tournament. The Lynx (24-3) will play host to Louisiana College (24-4) at 7 p.m. Friday at Mallory-Hyde Gymnasium. Also playing at Rhodes will be Washington-St. Louis (20-5) and Texas-Dallas (20-8) The winners will play in the second round on Saturday. In the SAA championship game against Millsaps, the Lynx came back from four points down with 1:38 to play to pull out a 66-64 victory. Junior Lauren Avant scored six points on three layups in 44 seconds, and added a free throw with 1.8 seconds left to clinch the win. Avant, a Tennessee transfer who also played at Lausanne, finished with 30 points and was named the tournament’s most valuable player. Sophomore Sarah Johnson had a career high 12 assists and was named to the all-tournament team. Manassas had just enough “been there, done that” in them Monday night. As a result, they gave themselves a chance at a third straight trip to the state tournament with a 56-54 comeback win over Oakhaven in the Region 8-AA girls semifinals at Douglass. The Tigers (20-7), District 15 runners-up will face District 15-AA champion Trezevant for the title Wednesday, then move onto a sectional game Saturday. Senior Tiffany Jones had 16 of her 25 points in the second half, all after Oakhaven’s sophomore center Morgan Walton got into foul trouble. She hit four straight free throws to give the Tigers their first lead of the night, 51-48, with slightly more than three minutes to play. Senior Phikala Anthony who scored just two points before the break, had 10 in the third quarter to start the Tigers back from a 29-19 halftime deficit. She finished with 16. “We started to attack the basket and started getting free throws,” said Anthony. Oakhaven (20-3) had cut the Manassas lead to 56-54 on a basket by Mar’shea Lewis with eight seconds left. And with 1.1 seconds to go, Anthony left a crack with two missed free throws. Oakhaven got the ball with seven-tenths left and Tracee Hammer’s 3-point try bounced high off the iron twice before falling away. “Oh, my goodness,” Anthony said shaking her head. Junior Derica Wiggins led Oakhaven with 27 points. “I told the kids not to hang their heads. They had a great season. We just need to come back and not make some of the same mistakes,” Oakhaven coach Frederick Thorns said. One key difference in the game was free-throw shooting. Manassas hit 21-of-33, while the Hawks went just 2-of-13. Region 8-AA: Trezevant’s Marcreshia Drummer scored 32 points and Khadejah Stevens chipped in 17 as the Bears pulled away from Douglass to win Monday’s semifinal game at Douglass. Keoshia McGhee scored 25 for Douglass. The Bears, champions of District 15-AA, will play Manassas in Wednesday’s championship game. Trezevant defeated the Tigers 72-69 last week in the district title game. Region 8-AAA: Baylor signee Nina Davis scored 25 points and Tia Wooten added 18 as Central (23-4) won its semifinal game 68-45 over Houston. 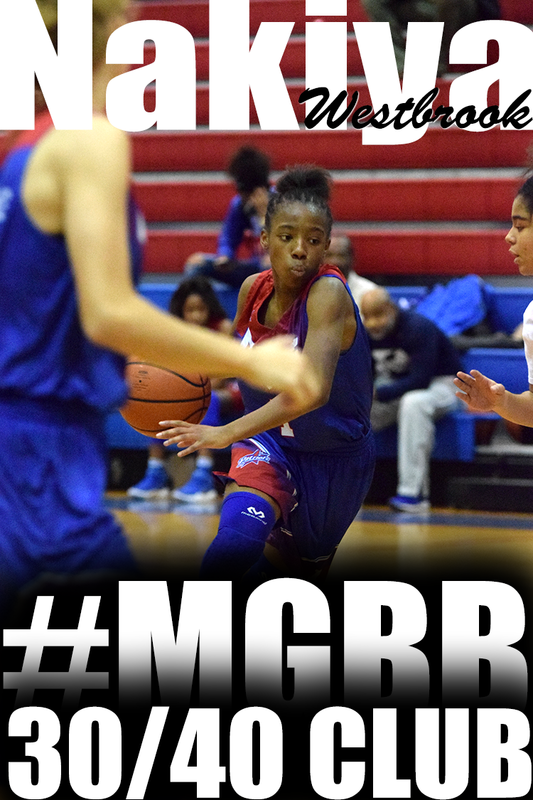 Aysha Harris led the Mustangs with 17 points. ... Overton eliminated Ridgeway 62-50 to advance to Wednesday’s title game. Kelsey Briggs scored a game-high 18 points for the Wolverines. This is the fifth straight year that the Wolverines and Warriors will face off in the region championship. Central won from 2009-11, Overton won last season. Region 7-AAA: Munford will play in Wednesday’s championship game after defeating Hardin County 44-26 in Monday’s semifinal game at Brighton. The Cougars (26-5) will play Jackson North Side who eliminated Dyer County 64-44. Region 7-AA: Covington improved to 33-2 by rallying from a six-point deficit after three quarters to knock off Dyersburg 62-55. The Chargers were led by Ashia Jones’ 20 points. Precious Harvey added 18 and Precious Dyson scored 15. Covington will play Westview in Wednesday’s championship game at Dyersburg. 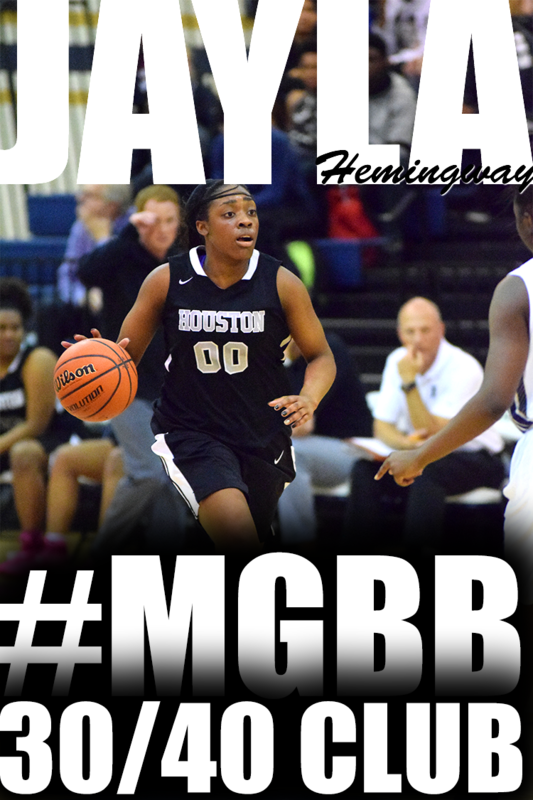 Houston (45) — Amber Braxton 6, Cheridan Burroughs 4, Aysha Harris 17, Alise Parker 1, Jaida Roper 7, Julianne Shiles 10. Central (68) — Nina Davis 25, Meme Hill 10, Tia Hyman 6, Darriel Johnson 9, Tia Wooten 18. Overton (62) — Philecia Atkins 10, Kelsey Briggs 18, Amber Holmes 14, Fontenelle Walker 16, Erin Wilson 4. Ridgeway (50) — Brandi Beasley 17, Erin Foster 2, Ashley Jackson 12, Odegua Oigboike 17, Tieraney Paylor 2. Dyersburg (55) — Emily Bennett 4, Kenya Jordan 2, Kristina Moore 17, Chari Swift 10, Kimbrielle Tate 4, Maya Taylor 18. Covington (62) — Jayla Brandon 3, Precious Dyson 15, Precious Harvey 18, Ashia Jones 20, Janekia Mason 6. Records — Dyersburg 21-11, Covington 33-2. Trezevant (72) — Marcreshia Drummer 32, Ashleigh McGhee 12, Khadejah Stevens 17, Kourtney Walton 4, Marcy Williams 7. Douglass (57) — Ashonti Harper 3, Gazmune Herndon 19, Keoshia McGhee 25, Jashevee Tapplin 4, Keyatta Tyson 6. Manassas (56) — Phikala Anthony 16, Shirley Clayborn 1, Tonisha Clayborn 2, Amisha Gales 6, Tiffany Jones 25, Oesha O’Neal 6. Oakhaven (54) — T. Brown 2, T. Hammer 4, M. Lewis 8, M. Walton 8, B. Webb 5, D. Wiggins 27. Records — Manassas 20-7, Oakhaven 20-3. The foot stomps heard across the Horn Lake campus Saturday were justified. 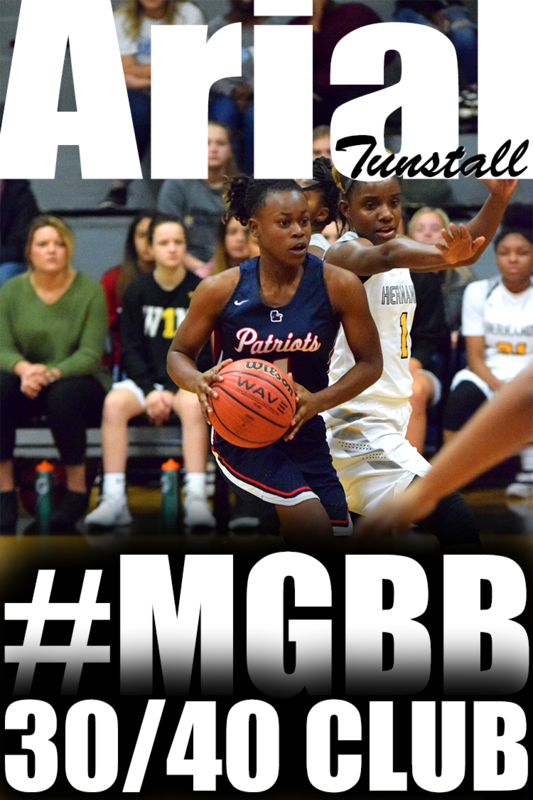 They came courtesy of sophomore Alexyse Thomas, who was busy making big shots in the second half against Southaven as the Lady Eagles won their fifth consecutive Mississippi High School Activities Association championship with a come-from-behind 48-37 victory. Thomas scored with 1:04 remaining in the third period to give Horn Lake (26-2) only its second tie of the game at 32. She added another big bucket at the 7:35 mark of the fourth and the Lady Eagles, who will be the No. 1 seed at the Class 6A state tournament at Jackson’s Mississippi Coliseum on March 6, never trailed again. Southaven also will be making the trip to Jackson on March 6. The Lady Chargers (26-5) just might have to do better than the five fourth-period points scored Sunday night. The Lady Eagles, who have split the season series with Southaven at 2-2, began their string of clutch free throws at the 3:39 mark with one by Keneisha Winfrey. Lady Chargers point guard Olivia Cunningham followed with a basket, but the visitors wouldn’t score again. Winfrey, Alondrea Rush and Treasure Evans made nine more free throws to close out the game. Rush paced a balanced scoring attack with 13 points, and Evans and Thomas finished with 12 and 11, respectively. “Just to have younger girls come in, buy into the program and get it done — I love ’em for it,” Lyons said. Southaven, which led 14-5 after one period and 23-16 at the half, got a game-high 15 points from Cunningham. Over the weekend, Kaitlin "YoYo" Murphy was honored along with her fellow seniors on the Furman University Women's Basketball team. This year she became the 19th player in Furman Women's Basketball history to score 1000 points. She is presently 6th or 7th in career free throw shooting percentage. She is 3rd on the all-time list for career assists. Of the top 5 players on that list, she is the only one who achieved her numbers with teams that averaged less than 40% in shooting percentage for the player's career. Her teams averaged 36% while the rest of the top 5 in total had teams averaging 43%. Briarcrest's Jasmine Cincore heads to the board against Father Ryan during the Division 2-AA state quarterfinal Friday night in Eads. The Briarcrest girls basketball team couldn’t buy a basket Friday night and their performance from the free-throw line left a lot to be desired as well. But good defense can make an ugly game look a whole lot better. The Saints held visiting Nashville Father Ryan scoreless in the first quarter and repeated the feat in the fourth quarter to defeat the Irish, 29-18. The victory, Briarcrest’s 26th in a row, sends the Saints into the Division 2-AA state semifinals Thursday at Allen Arena in Nashville. “It was an ugly game,” said Briarcrest coach Lee Smith. 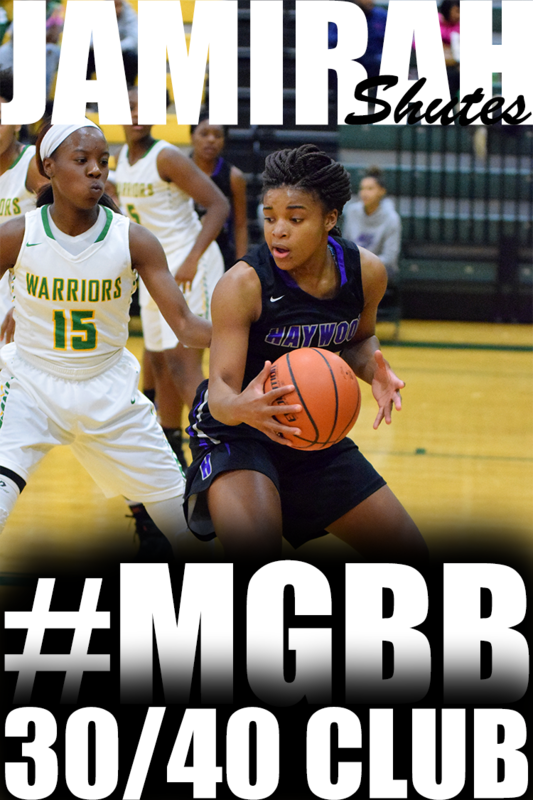 “Father Ryan is an extremely well-coached and disciplined team. They’re the most disciplined team we’ve played in two years. The Saints went just 50 percent from the free-throw line and their normally reliable 3-point shooters missed all 11 attempts. But Briarcrest (27-1) survived, thanks to a terrific defensive effort that limited the Irish (13-14) to just seven baskets. Memphis’ other two D2-AA hopefuls were eliminated Friday. Harpeth Hall outscored St. Agnes 22-3 in the first quarter and went on to beat the Stars (13-7), 58-22. St. Benedict was close for three quarters against Brentwood Academy but was outscored 15-0 in the fourth quarter and lost, 43-23. SBEC advances to state: Eighth-grader Ashtyn Baker hit a buzzer-beater in overtime to send Southern Baptist Educational Center to the Division 2-A semifinals next week with a 48-47 victory over Ezell-Harding. Kayleigh Patterson had 13 points for the Trojans (25-7). Region 8-AAA: Old Dominion signee Odegua Oigbokie scored 29 points and Ridgeway improved to 29-2 with a 66-44 victory over Whitehaven in a quarterfinal game. ... Baylor signee Nina Davis scored 33 points to lead Central to a 60-41 victory over Collierville. The Lady Warriors are 22-4. ... Freshman standout Jaida Roper scored 21 points and Aysha Harris added 19 as Houston eliminated East, 74-52. ... Philecia Atkins had 18 points as Overton defeated White Station, 55-37. Region 7-AAA: Shaliyah Wiggins scored 18 points to lead Munford (25-5) to a 74-49 victory over Craigmont in the quarterfinals. ... Hardin County ended Arlington’s season at 17-10, winning 60-46. ... Dyer County eliminated Bolton, 66-62, and District 14-AAA champion Millington fell to Jackson North Side, 61-53. Region 8-AA: Marchesia Drummer poured in 40 points as Trezevant (16-9) eliminated Fairley, 78-27. 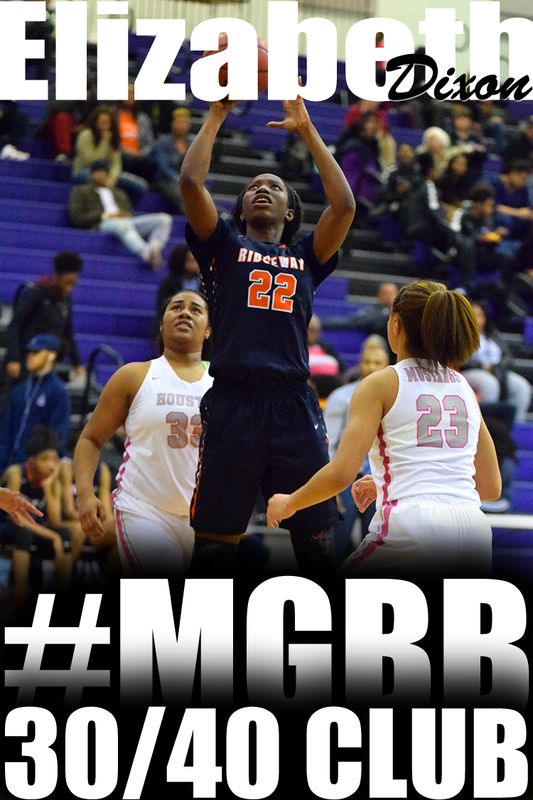 ... Tiffany Jones scored 24 points to lead Manassas (19-6) to a 63-37 victory over Carver. ... Douglass (18-11) eliminated Mitchell, 65-48, behind 26 points from Gazmune Herndon. Region 7-AA: Precious Harvey scored 25 points to lead Covington (31-2) to a 77-49 victory over Jackson South Side. Region 8-A: District 16 champion Booker T. Washington ends the year with a 26-4 mark after falling to Scott’s Hill, 49-36. Unselfish play Friday night has the Southaven and Horn Lake girls bound for the Mississippi High School Activities Association Class 6A state basketball tournament. The Lady Chargers punched their ticket for Jackson’s Mississippi Coliseum behind a balanced attack in a 70-49 victory over Columbus; in the other North Half semifinal, the host Lady Eagles rolled past Clinton, 59-27. The DeSoto rivals will meet for the fourth time this season — for the North championship — Saturday at 7 p.m. The outcome only determines seeding for March 6 at the state tournament. Three Southaven players scored in double digits, led by Providence signee Aliyah Miller, who had 20 points. Buffalo signee Joanna Smith and A’Queen Hayes scored 18 apiece for the Lady Chargers (26-4). 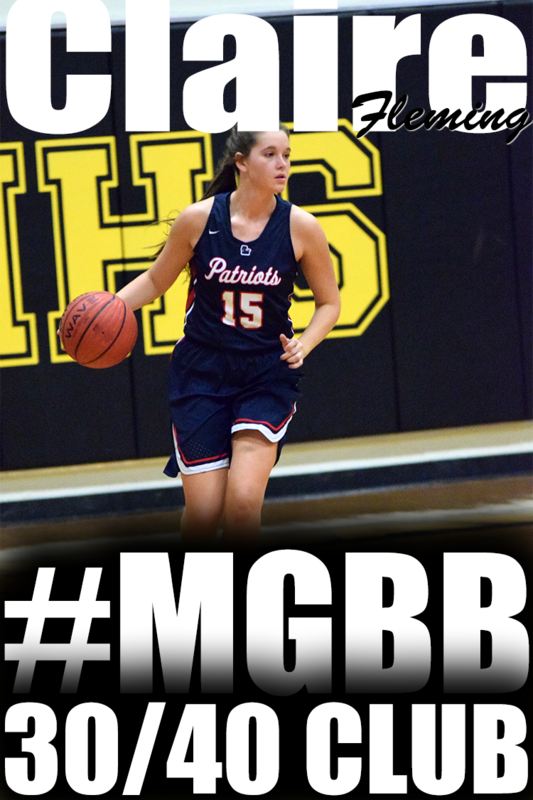 As impressive as the first period was, when Miller, Smith and Olivia Cunningham each chipped in five points to stake Southaven to a 20-12 lead, the ensuing eight minutes were even better. Steals led to easy layups for Miller and Smith, while UT-Chattanooga signee Jasmine Joyner worked her portion of the give-and-go to perfection as the Lady Chargers’ lead grew to 16. It was more of the same in the second half, as Southaven closed the third period on a 10-1 run for a 62-31 lead. In the nightcap, Horn Lake (25-2) got 15 points from Treasure Evans. The Lady Eagles led by 30 entering the fourth period. Alexyse Thomas and Brittany Grant each had 11 points and Felicia Odom added 10 for the Lady Eagles, who will make their fifth consecutive trip to state. Kaylah Keys seemed poised to leave one last memory in the Harding gym where her jersey will no doubt hang one day. But after Keys and the Lions all but erased a 17-point deficit midway through the fourth quarter, University School of Nashville regained its poise, and the momentum, in time to score a 62-49 upset in the Division 2-A substate round Friday night. Keys ended her final game with 25 points, including 10 in an 18-4 run that helped Harding (24-6) close a 39-22 deficit to 43-40 with 5:56 to play on a midcourt steal and driving layup by the High Point University-bound guard. “We got over our nerves a little, and started to really put some pressure on them, but we couldn’t keep it going long enough,” Keys said. The Tigers (20-13) answered as they did all night, getting a 3-pointer from senior Mia Phillips after a timeout. That 3-pointer was the seventh of eight in the game from a team that had averaged just three a game this season. It started a 9-0 run and the Lions never got closer than nine after that. Phillips had 18 points, including three 3-pointers. 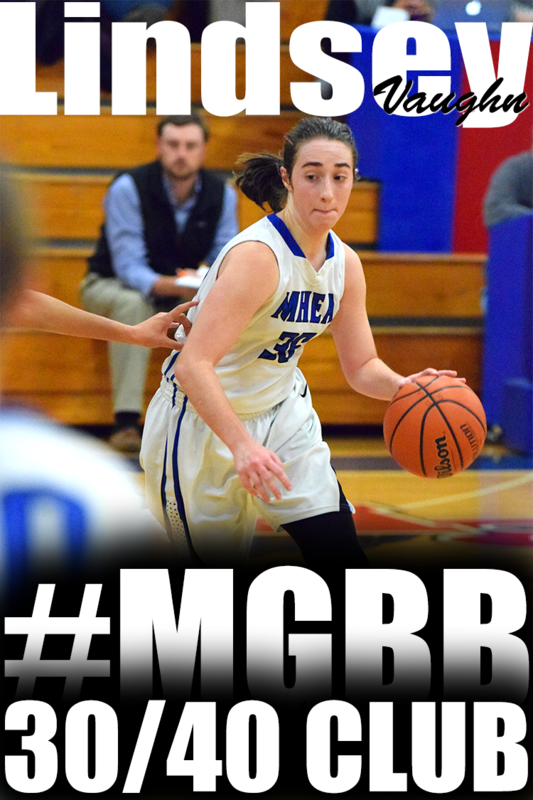 Sarah Elliott added 17 and hit 4 of 4 from beyond the arc in the first half to pace USN to a 31-14 lead at the break. Senior Bailey Conner added 11 points, and passed 1,000 points for her career with 3:16 to play. Jemice Holmes added nine. “We’ve often hurt ourselves with bad decisions down the stretch, and while we have good shooters we have been inconsistent much of the year,” University School coach Dee Davis said after her team clinched its first trip to the state tournament next week in Nashville. Junior Morgan Murphy added eight points for Harding, which has been stopped the past two years in the substate round. The Lions hurt themselves at the foul line, going 8 of 18. USN was 13 of 23 but hit seven of their first eight shots while building the early lead. Harpeth Hall (58) — Johnson 5, Rutherford 4, Nutter 22, Hynes 5, Tidwell 4, Potts 10, Hopp 4, Potts 4. St. Agnes (22) — Katie Connor 7, Olivia Gattuso 4, Lizzie Harris 2, Wallis Jenkins 9. Records — St. Agnes 13-7. St. Benedict (23) — Taylor Barnes 7, Nicole Ferris 9, Madison Luckett 2, Theresa Stoddard 3, Paige Williams 2. Brentwood Aca. (43) — Hall 8, Jackson 12, Murphy 6, Pearson 7, Stephens 2, Kreid 8. Records — St. Benedict 15-13, Brentwood Aca. 17-10. Father Ryan (18) — Mary Francis Hoots 2, Danielle Manes 13, Jamie Shoulders 3. Briarcrest (29) — Jasmine Cincore 5, Erin Dunseath 2, Elise Holden 4, Bailey Kramer 8, Kalynn Parks 1, Rachel Peete 7, Sidney Smith 2. USN (62) — Mia Phillips 18, Whitney Cargile 2, Sarah Elliot 17, Bailey Conner 11, Jamiece Holmes 9, Brianna Porter 4, Malorie Leeper 1. Harding (49) — Mary Collins 5, Alexis Franklin 2, Anna Horner 2, Kaylah Keys 25, Antoinette Lewis 5, Rachel Maynard 2, Morgan Murphy 8. Ezell-Harding (47) — Emily Seenstra 6, Kianna Froedden 2, Marci Sneed 5, Hailey Johnson 14, Anesha Harmon 11, Tanginique Nowlin 9. SBEC (48) — Ashtyn Baker 8, Lauren Decembrino 2, Karlie Hughes 5, Kimberlee Keltner 11, Kayleigh Patterson 13, Karlee Russom 5, Andrea Sparkman 4. Records — Ezell-Harding 20-10, SBEC 25-7. Hardin Co. (60) — Scarlet Davis 3, Emily Gray 14, Hannah Reynolds 6, Katie Terry 15, M. Willoughby 17, B. Cossey 5. Arlington (46) — Raegyn Branch 5, Alex Ellington 2, Chyna Ellis 7, Jessica Jackson 2, Chyeinne Norton 3, Tori Sewell 16, Raylin Starks 9, Christina Thomas 2. Craigmont (49) — Natalia Campbell 2, Danielle Conley 5, Symone Cooper 2, Taylor Crutcher 4, Candice Davis 14, LaKeidra Greer 6, Miara Holliday 5, Sharrese Moore 7, Daja Scurlock 4. Munford (74) — Phenecia Howard 1, Rebecca Lee 2, Robneisha Lee 14, Precious Mills 8, Lindsey Owen 4, Kierra Richardson 6, Alex Turner 8, Kierra Webb 6, Shaliyah Wiggins 18, Lauren Zvolanek 7. Jackson Northside (61) — D.J. Boyd 4, Brianna Cockrell 12, Jada Perkins 15, Brendy Stokes 20, Thomas 6, Williams 4. Millington (53) — Tiara Caldwell 8, Erin Clark 12, Katie Dupree 2, Treasure Redding 6, Kendra Richardson 12, Seymon Taylor 13. Records — Jackson Northside 12-18, Millington 15-15. 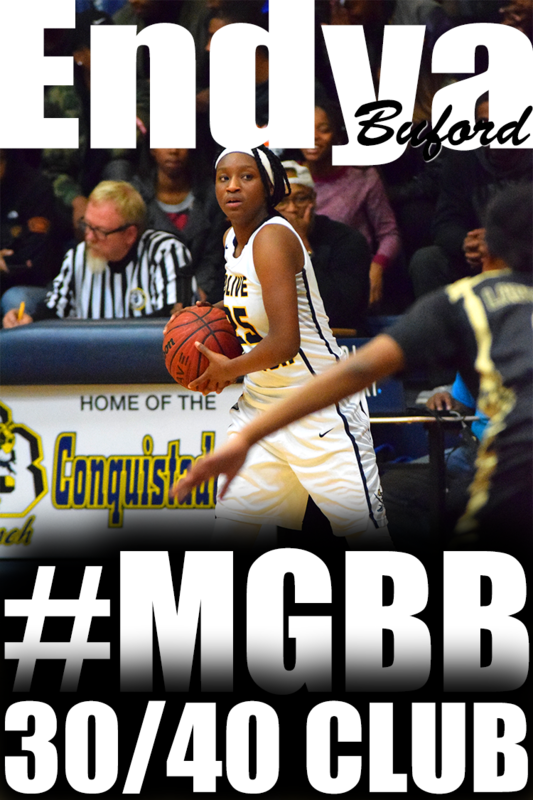 Whitehaven (44) — Laka Blache 19, Brandi Clay 1, Tiarra Coleman 8, Ebony Malone 5, Maia McCoy 11. Ridgeway (66) — Brandi Beasley 13, Alexis Bryson 6, Erin Foster 4, Breauanna Humphrey 12, Ashley Jackson 8, Odegua Oigboike 20, Tieraney Paylor 3. Overton (55) — Philecia Atkins 18, Kelsey Briggs 15, Rodrea Echols 2, Kyler Green 6, Amber Holmes 2, Fontenelle Walker 4, Kayla Williams 2, Erin Wilson 6. 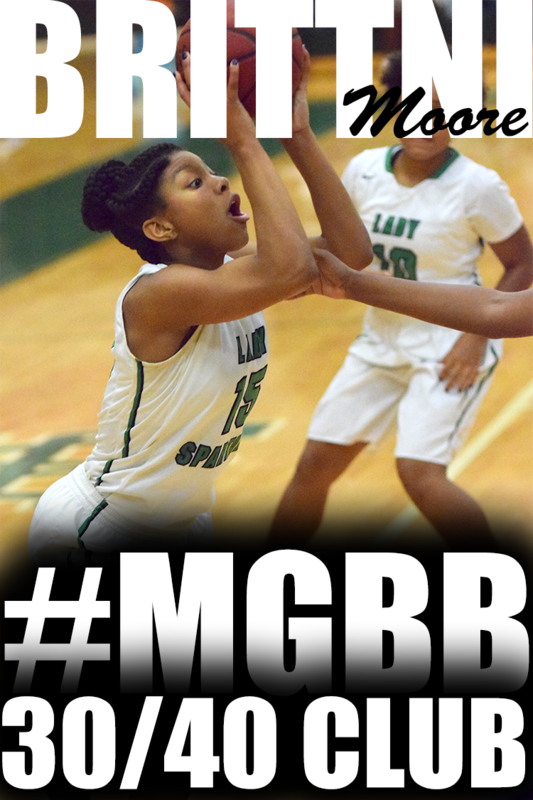 White Station (37) — Courtney Banks 10, Miyah Barnes 8, Alex Christian 8, Taylor Hayes 2, Emanye Robertson 9. Collierville (41) — Amber Baldwin 4, Jessica Brown 19, Monica Brown 12, Caitlin Hamm 6. Central (60) — Nina Davis 33, Meme Hill 12, Darriel Johnson 4, Tia Wooten 11. Records — Collierville 15-17, Central 22-4. East (52) — Artasia Carnes-Marshall 12, Nykia Grandberry 6, Angelique Macklin 7, Madison Smith 2, Javeshia White 6, Janeka Williams 19. Houston (74) — Amber Braxton 6, Cheridan Burroughs 10, Aysha Harris 19, Alex Lohrenz 1, Sydney Malone 3, Alise Parker 5, Jaida Roper 21, Julianne Shiles 8, Maggie Crigler 1. Jackson South Side (49) — Wilson 1, Westbrook 1, James 21, Merriweather 2, Currie 2, Tipler 20, Forrest 2. Covington (77) — Jayla Brandon 5, Precious Dyson 9, Precious Harvey 25, Ashia Jones 21, Janekia Mason 4, Treasury Poindexter 5, Leshaundra Somerville 8. Records — Jackson South Side 16-13, Covington 31-2. Fairley (27) — Mildrecia Cox 3, Jessica Jamison 15, Deja Washington 9. Trezevant (78) — Marcreshia Drummer 40, Ashleigh McGhee 12, Khadejah Stevens 15, Kourtney Walton 3, Marcy Williams 6, Andrea Willis 2. Douglass (65) — Gazmune Herndon 26, Alexis Jones 2, Keoshia McGhee 16, Maranda Moss 2, Keyatta Tyson 15, Kimayah Ward 4. Mitchell (48) — Marquisha Fennell 12, Erica Jackson 10, Crystal Johnson 20, Nicole Johnson 4, Equria Patterson 2. Carver (37) — Laraya Fisher 2, Lakeisha Kearney 1, Mishundra Mason 8, Ocatvia Moore 4, Samantha Smith 2, Lyric Stallings 17, Arnesha Wilkins 3. Manassas (63) — Phikala Anthony 13, Ranisha Brown 2, Shirley Clayborn 7, Tonisha Clayborn 4, Amisha Gales 8, Tiffany Jones 24, Oesha O’Neal 5. Scott’s Hill (49) — Roberts 17, Wyatt 16, Reeves 7, Rosson 6, Gant 3. Washington (36) — Rakesha Curry 5, Renisha Hale 8, Erica Hall 2, Tierney Keaton 4, Deneisha Lane 10, Terrica Robinson 7. Records — Scott’s Hill 20-8, Washington 26-4. Columbus (49) — Patterson 12, Williams 11, Jefferson 7, Ledbetter 6, Brooks 4, Carruthers 3, Hughes 3, Jones 3. Southaven (70) — Olivia Cunningham 5, Queen Hayes 18, Jasmine Joyner 8, Aliyah Miller 20, Naomi Perry 1, Joanna Smith 18. WP — Taylor Bobo (1-0). LP — Hunter Ivy (0-1). Records — Olive Branch 1-0, South Panola 0-1. Division 2-AA Girls State Quarterfinals, 5 p.m. – Harpeth Hall at St. Agnes. 6 p.m. — St. Benedict at Brentwood Academy, Father Ryan at Briarcrest. Division 2-A Girls Sub-State, 4:30 p.m. – St. George’s at Knoxville Webb. 7 p.m. -- University School of Nashville at Harding, Ezell-Harding at SBEC. Region 7-AAA Girls Quarterfinals, 6 p.m. — Hardin Co. at Arlington. 7 p.m. — Craigmont at Munford, Jackson North Side at Millington, Bolton at Dyer County. Region 8-AAA Girls Quarterfinals, 7 p.m. — Whitehaven at Ridgeway, Overton at White Station, Collierville at Central, East at Houston. Region 7-AA Girls Quarterfinals, 7 p.m. — Jackson South Side at Covington. Region 8-AA Girls Quarterfinals, 7 p.m. — Fairley at Trezevant, Douglass at Mitchell, Raleigh-Egypt at Oakhaven, Carver at Manassas. Region 8-A Girls Quarterfinals, 7 p.m. – Adamsville at BTW, Westwood at TCA, Middleton at MAHS, MASE at Riverside. MHSAA North Half Girls Semifinals at Horn Lake, 6 p.m. – Southaven vs. Columbus. 7:30 p.m. – Horn Lake vs. Clinton. Division 2-AA Boys State Quarterfinals, 6 p.m. — Chattanooga Baylor at Briarcrest. 7 p.m. — CBHS at Nashville Father Ryan, Montgomery Bell Academy at MUS. Division 2-A Boys Sub-State, 4 p.m. — Donelson Christian Academy at Lausanne, FACS at Franklin Road Academy. 6 p.m. -- Harding at Knoxville Webb. 7 p.m. — Ezell-Harding at ECS. Region 7-AAA Boys Quarterfinals, 7 p.m. — Arlington at Munford, Jackson North Side at Craigmont, Hardin County at Cordova, Bolton at Dyer County. Region 8-AAA Boys Quarterfinals, 7 p.m. — Hamilton at Ridgeway, Houston at Whitehaven, Germantown at White Station, Melrose at Southwind. Region 7-AA Boys Quarterfinals, 7 p.m. — Fayette-Ware at Haywood. Region 8-AA Boys Quarterfinals, 7 p.m. — Fairley at Manassas, Douglass at Mitchell, Raleigh-Egypt at Sheffield, Hillcrest at Trezevant. Region 8-A Boys Quarterfinals, 7 p.m. – Scotts Hill at BTW, Madison at MBA, Soulsville at Middleton, PCA at Riverside. 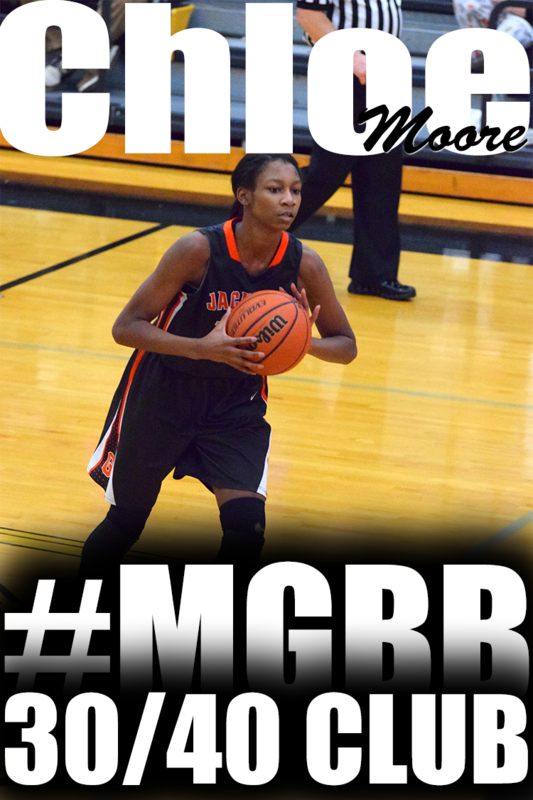 MHSAA North Half Girls at Horn Lake, 7 p.m. – championship game. FACS at Franklin Road Academy, 4 p.m.
Harding at Knoxville Webb, 6 p.m.
Ezell-Harding at ECS, 7 p.m.
Donelson Christian Academy at Lausanne, 4 p.m.
St. George's at Knoxville Webb, 4:30 p.m.
University School of Jackson at Franklin Road Academy, 6 p.m.
University School of Nashville at Harding, 7 p.m.
Ezell-Harding at SBEC, 7 p.m.
Arlington at Munford, 7 p.m.
Jackson North Side at Craigmont, 7 p.m.
Hardin County at Cordova, 7 p.m.
Bolton at Dyer County, 7 p.m.
Craigmont at Munford, 7 p.m.
Hardin Co. at Arlington, 6 p.m.
Jackson North Side at Millington, 7 p.m.
Hamilton at Ridgeway, 7 p.m.
Houston at Whitehaven, 7 p.m.
Germantown at White Station, 7 p.m.
Melrose at Southwind, 7 p.m.
Ridgeway/Hamilton winner vs. Whitehaven/Houston winner, 7:30 p.m.
White Station/Germantown winner vs. Southwind/Melrose winner, 6 p.m.
Championship game at Houston, 7 p.m.
Whitehaven at Ridgeway, 7 p.m.
Overton at White Station, 7 p.m.
Collierville at Central, 7 p.m.
East at Houston, 7 p.m.
Ridgeway/Whitehaven winner vs. White Station/Overton winner, 7:30 p.m.
Central/Collierville winner vs. East/Houston winner, 6 p.m.
Fayette-Ware at Haywood, 7 p.m.
Westview at Jackson South Side, 7 p.m.
Crockett Co. at Liberty, 7 p.m.
Bolivar Central at Ripley, 7 p.m.
Jackson South Side at Covington, 7 p.m.
Dyersburg at McNairy Central, 7 p.m.
Obion Co. at Bolivar Central, 7 p.m.
Chester Co. at Westview, 7 p.m.
Fairley at Manassas, 7 p.m.
Douglass at Mitchell, 7 p.m.
Raleigh-Egypt at Sheffield, 7 p.m.
Hillcest at Trezevant, 7 p.m.
Trezevant/Hillcrest winner vs. Mitchell/Douglass winner, 7:30 p.m.
Sheffield/RE winner vs. Manassas/Fairley winner, 6 p.m.
Championship game at Douglass, 7 p.m.
Fairley at Trezevant, 7 p.m.
Raleigh-Egypt at Oakhaven, 7 p.m. Carver at Manassas, 7 p.m.
Trezevant/Fairley winner vs. Mitchell/Douglass winner, 7:30 p.m.
Oakhaven/RE winner vs. Manassas/Carver winner, 6 p.m.
MASE at Decatur Co. Riverside, 6 p.m.
Middleton at MAHS, 7 p.m.
Adamsville at BTW, 6 p.m.
Westwood at Trinity Christian, 6 p.m.
MASE/Riverside winner vs. Middleton/MAHS winner, 7:30 p.m.
BTW/Adamsville winner vs. Westwood/TCA winner, 6 p.m.
Scotts Hill at BTW, 6:30 p.m.
Madison at MBA, 6:30 p.m.
Soulsville at Middleton, 6:30 p.m.
PCA at Riverside, 7 p.m.
BTW/Scotts Hill winner vs. Middleton/Soulsville winner, 6 p.m.
Riverside/PCA winner vs. Madison/MBA winner, 7:30 p.m. Third-place game, Dyersburg vs. Obion, 6:30 p.m. Third-place game, JSS vs. Chester Co., 6 p.m.
(9) Westwood vs. (8) Middle College at Fairview Middle School, 6 p.m.